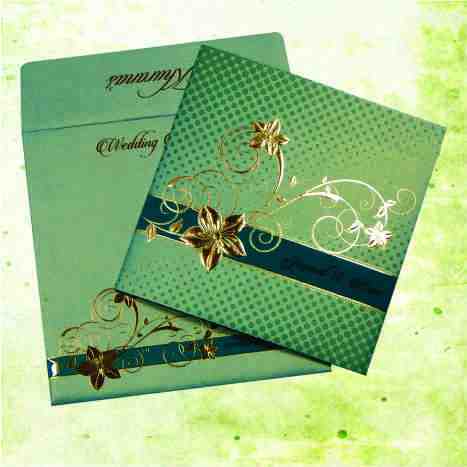 ENVELOPE : White Color 250 gsm Paper With Raised Gold Color Printing. MAIN CARD : White Color 250 gsm Shimmery Finish Paper With Gold Color Printing. Card Decorated With Rhinestones/Kundans and Tied With Matching Ribbon.